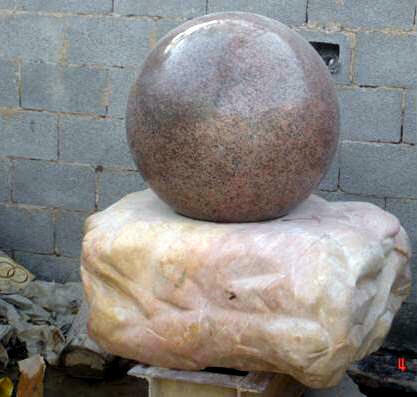 Description: This is a 23 inch wide Sphere made of red with black specks granite. It sits on a creamish/red marble base. It is a centerpiece design with water flowing off the base into an external water basin. This unit is available for immediate shipment.